I began to write this review listing the players in three separate by ultimately converging groups who figured out (some by brains, some by luck, some by stealth) that a financial crash was coming. But really that isn’t necessary for this review. Perhaps highlighting Christian Bale’s character, who seemed to be first to see it, is enough. A doctor, wandering around financial offices in flipflops with little to do, he sussed it out. What kind of person sees the possible collapse of most of the world coming and thinks only about how to profit by it. Well, I guess a lot of people who’ve chosen a life of profiting through manipulating money would see it like that. A few of these characters bemoan what is happening but not enough to not to put their hand in the till. The filmmaker did a great job of making it possible to follow–even for someone who doesn’t really understand finances beyond a savings account. To extract so much humor from the situation was sort of amazing. One shot of a retired person who had just lost everything would have brought the humor to its knees however. Also a few half-hearted attempts to give a few characters a home life didn’t work. Of course, the players all assumed that a lot of people would be going to jail. People in finance, real estate, etc. Only one person did. And that’s the real tragedy of the 2008 crash. Highly recommended. I enjoyed the book, about the disparate bunch of people who see it coming – some were the most unlikely types. 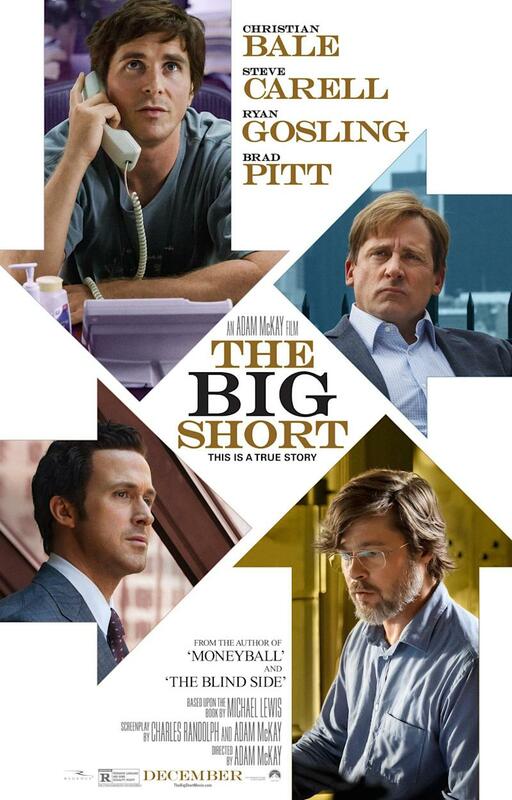 It’s not easy to make a film about finance interesting, so kudos to the director for that at least! The topic still makes my blood boil.